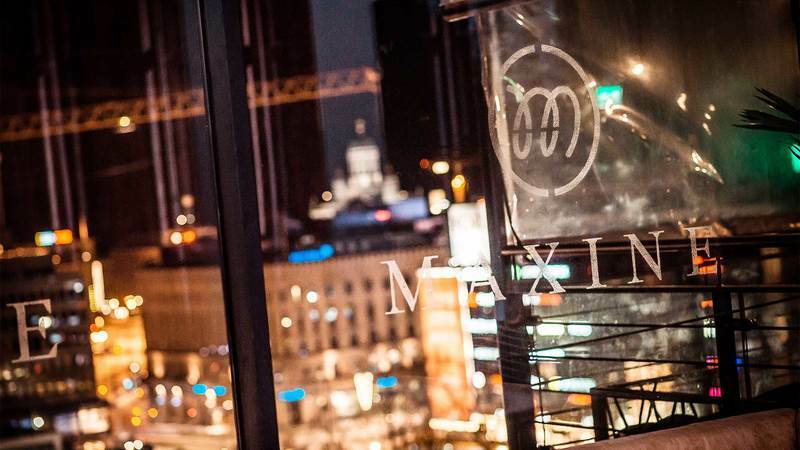 Maxine is a nightclub located on the sixth floor of Kamppi Centre (Helsinki). The view from the nightclub and its balconies, which are open all year round, is beyond compare. From the terrace, you can see how Helsinki shines at night year-round. Maxine consists of a lounge, a hall and Happy End karaoke. You can spend the evening enjoying good company, karaoke and drinks. Open from Friday to Sunday, the nightclub offers versatile music for its customers to dance to, ranging from 1980s and 1990s hits to current dance music. The age limit is 24 on Fridays and Saturdays and 18 on Sundays. At the back of Maxine, in the library, is a karaoke bar titled Happy End. Come and take the stage, create an atmosphere and enjoy company. 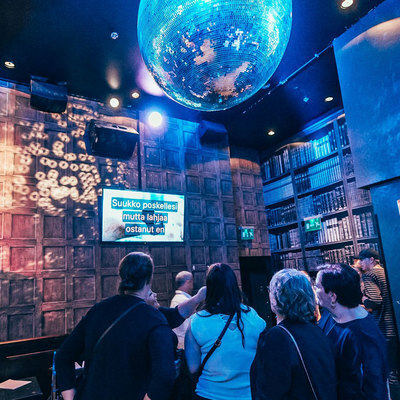 The karaoke features the latest hits from Finland and abroad as well as old classics. Between songs, you can appreciate how magnificent Helsinki looks at night from our terrace. Maxine Happy End Karaoke serves on Fridays and Saturdays from 10 pm to 4.30 am. Hot Latin rhythm on two dance floors. This party fills the nightclub with dance, letting you give in to the music all night long! 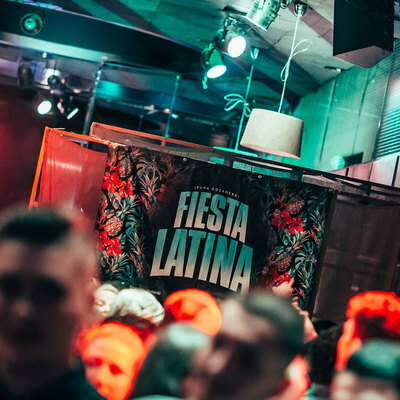 Fiesta Latina takes place once a month and is for sure the best Latin party that Helsinki can offer. The ticket price includes a drink of your choice. Friday to Sunday 10 pm-4.30 am. Please send your invoices primarily in electronic form to the e-invoice address of the billed restaurant. EDI code 003719941468. You can also send your invoice by e-mail in PDF format to invoice-19941468@kollektor.fi. If sending e-invoices is not possible, please send paper invoices to: NP City Group Oy/Restaurant Maxine 1994146-8, PO Box 100, FI-80020 Kollektor Scan. Subscribe to the Nightclub Maxine newsletter by filling in this form.